Sometimes Mother Nature is cooperative and other times, she can wield her fury in various ways. On this day, she opted for the latter and unleashed her windy fury upon the water. Portions of the target lake were white capping with waves crashing over the bow of my new 2019 Hobie Outback as I moved about, but the winds did not sour my outlook on the day. I knew an approaching front might get the fish chewing, so I targeted drop offs near wind blown banks, the backside of wind blown points and any isolated submerged wood. Each year in Central VA, the weather patterns make finding time to get on the water a little challenging. One day the air temps creep into the low 60's followed by several days of freezing temperatures. 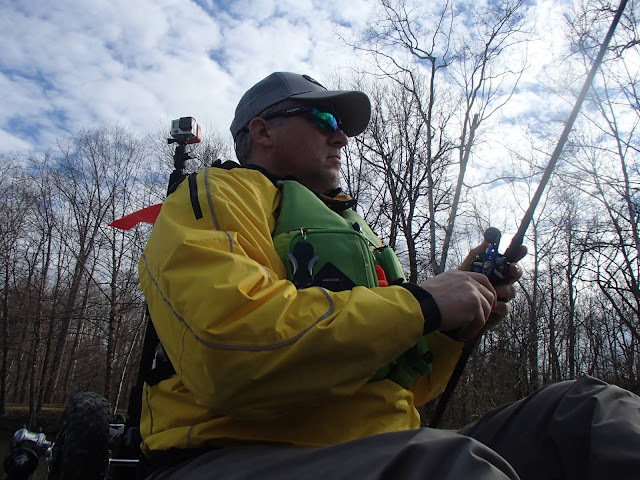 Recently, I had the opportunity to get on the water during a favorable weather window, so I took advantage of it. I loaded up the 2019 Hobie Outback with my trusty YakAttack accessories, three of my favorite Bull Bay Rods, a small bag of Powerteam Lures Texas Rig Jigs and Food Chain Tubes, a SPRO Fat John 60 crankbait or two, a Siebert Outdoors jig selection and my cold weather gear. 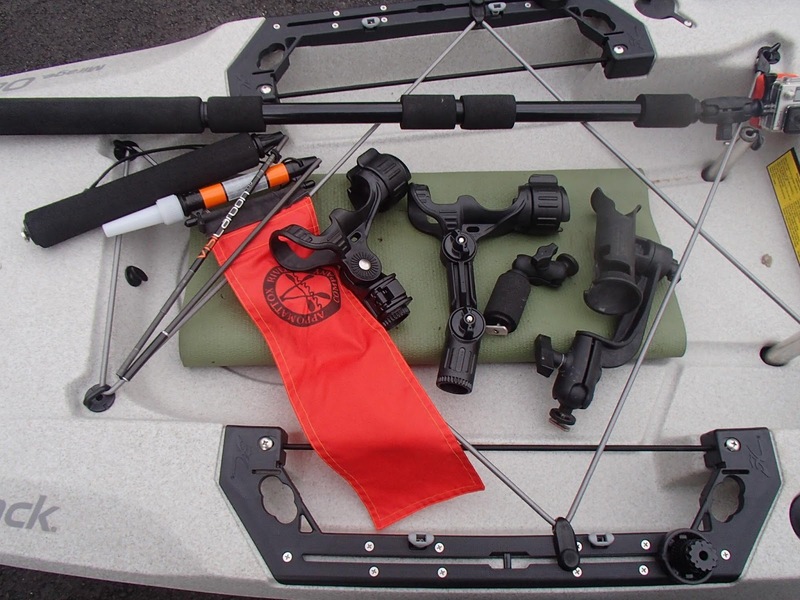 Important safety note - and this one that was shared with me my very first year kayak fishing. A general rule of thumb is the 120 degree mark - if the combination of water temperature and air temperature is less that 120 degrees, you should be wearing appropriate cold weather waterproof protective gear. Since the air temps would be approaching 60 degrees on this day, I knew the water temps would still be in the 40's, so I dressed accordingly with a base layer, a wicking layer and a waterproof layer. 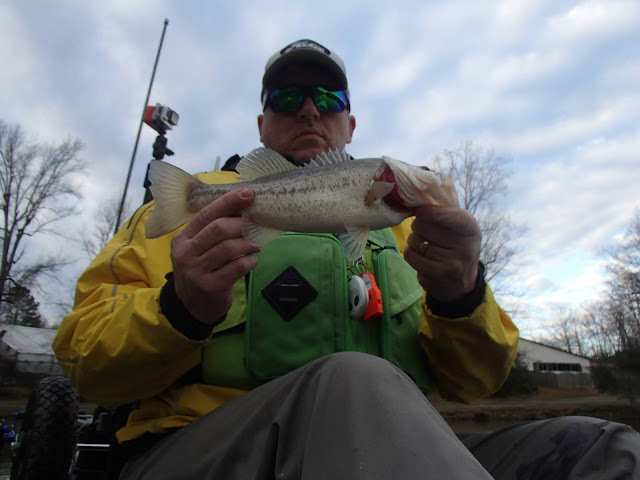 I hit the water and started off the day looking for a reaction bite given the warming trend over the previous few days. I knew my window of opportunity would be small given that an approaching front was closing in on me and high winds were forecast later that morning. Wish I would've checked the weather a little more closely, because the front had moved faster than expected, and I ended up launching dead smack in the midst of the front's arrival and higher than expected winds. No turning back now! My first cast was made with the chartreuse and black back crankbait, and I was fishing today regardless! I was rewarded immediately with a hard swipe at the Fat John and a miss, but the persistence of the predator was triggered and he came back for more. This time I nailed him and had my first fish of the day. A spunky 15" bass, but I know there are bigger ones in this pond. I kept working the Fat John parallel to the bank first, then followed up with targeted casts towards the bank. After a bit with no more bites, I switched over to the Food Chain Tube and started working the banks. This small neighborhood pond use to have significant brush overhangs and fallen trees, but recently the HOA made the decision to remove all of the shoreline cover. As a result, the fish population has no natural refuge or safe havens anymore﻿ resulting in a steep banked pond with no cover anymore. The other side effect that may occur is what a friend told me about in that all of the chemicals used in the upkeep of the surrounding landscape will now flow freely into the pond and will likely kill off what little life is left in this pond. A sad day indeed, but still I plugged along. I came upon one of my favorite areas of the pond where there still was the remnants of an old brush pile and carefully cast my tube into the point of the brush pile. The moment the tube hit the sandy bottom, I felt the tell-tale thump. As I engaged the reel and prepared for a hookset, the bass swam full speed directly towards me forcing me to reel up the slack as quickly as possible. By the time I had removed the slack, the bass had gained the leverage advantage and was immediately under the kayak. I waited until she passed, then I set the hook, but sadly the bass just spit the bait. She rolled on the surface and had the makings of what was easily a 20" bass with some thickness to her. Oh well, sometimes the fish wins, and you just have to tip your hat or nod in acceptance and move on. I fished hard and focused for the next couple of hours, but the wind and my experience on this pond told me the bite was over for the day. While I likely will not return to this pond this year, it still holds a special place in my relative short history in the kayak fishing world. Some of my largest bass have come from this pond. It saddens me to know that the HOA was concerned more about aesthetics than the long term health and vitality of their pond. Now the challenge is trying to find a new location "X". 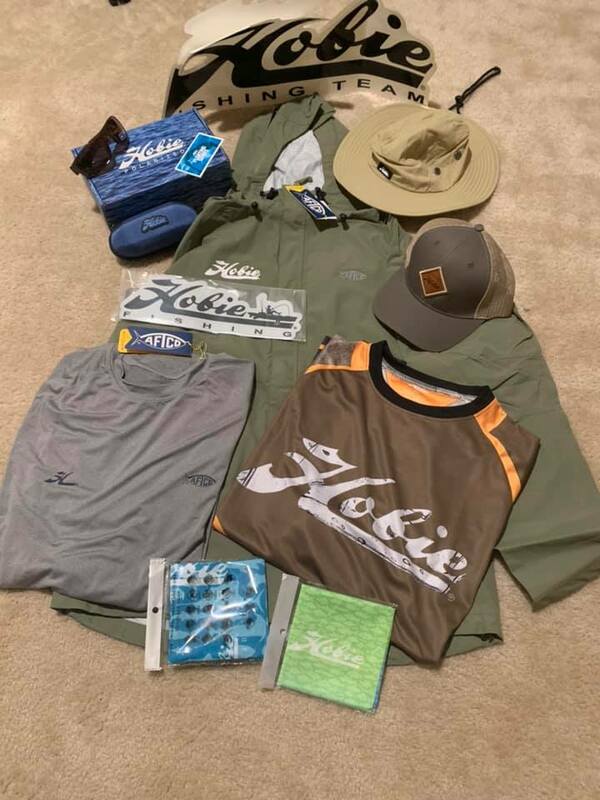 While doing some research and prepping for my next outing, I received my 2019 Hobie Fishing Team package! It's like Christmas for me, and I look forward to seeing what the good folks at Hobie have in store for us team members this year. As usual, Hobie went above and beyond with their partnership with AFTCO and Hobie Polarized! Much appreciated Kevin, Morgan, Keeton and crew! You guys are the best! Until next time, remember to know the 120 degrees temperature rule (I prefer using 110 degree myself just to be safe), and be certain to inform friends and family of your float plan! Safety first! 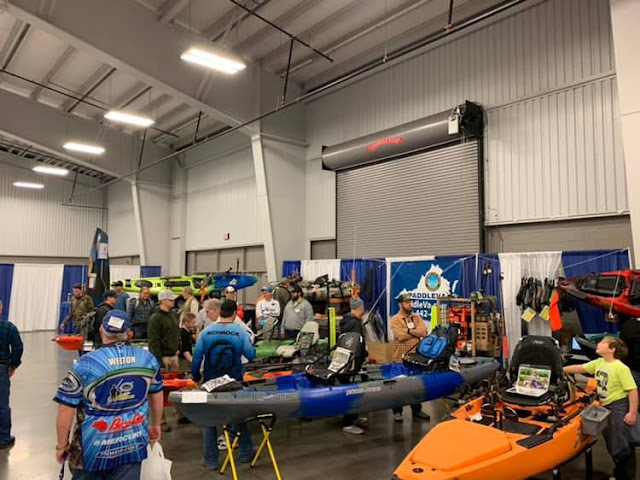 The Richmond Fishing Expo starts off each year with an infusion of knowledge, product offerings and general camaraderie among those in attendance. 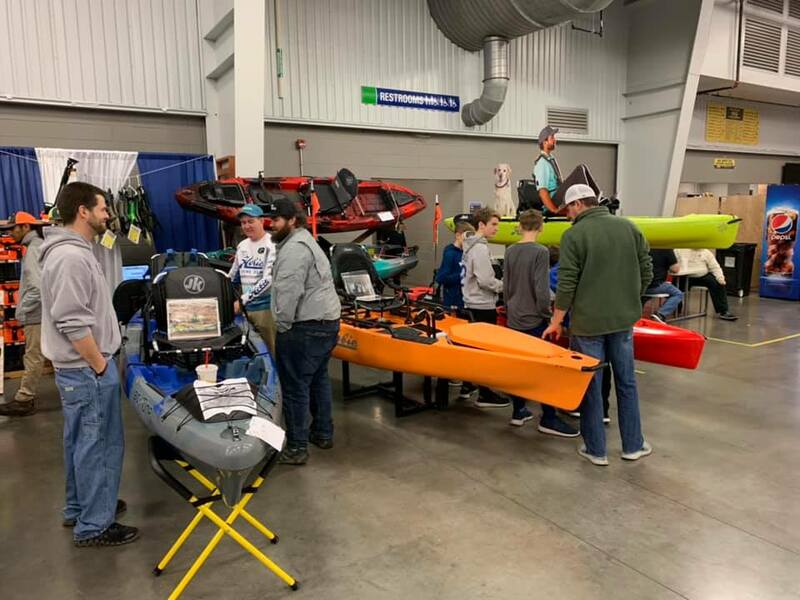 For the last seven years, I have participated in this annual event as a member of the Hobie Fishing Team and representing Appomattox River Company. Each year, ARC has a variety of kayak hulls and kayak related items such as PFDs, paddles, PADDLEVA Swag and YakAttack accessories on display for the Expo attendees and exhibitors alike to peruse and ask questions about. While we as members of the various Pro Staffs are on hand to answer questions and discuss the potential of our respective kayak brands, we each have a role that is beyond one of brand reputation. We have a responsibility to share in the knowledge and expertise as it relates to the sport of kayaking and kayak fishing. It is our responsibility to provide unbiased facts and personal experience to the public in order for them to make a more informed decision regarding which kayak hull is right for them. It is our responsibility to also have functional knowledge of the other kayak offerings as well. During this annual Expo, it affords each of us an opportunity to learn more about each brand's features and benefits. While I consider individuals like Tom Quicke, Sr., Rob Reker, Grant Alvis, Micah Marbrah and myself as knowledgeable individuals regarding the Hobie product line, I don't hesitate to direct people to individuals like Rob Choi, Roland Butler and Kevin Whitley (Johnson Outdoors - Ocean Kayaks and Old Town), Eric Schrock (Feel Free), Aaron Dryden, Chuck Morris and Mark Lozier (Wilderness Systems), Sean Amiss, Jr. (Bonafide), Josh Dolin (Jackson) and Woody Callaway and Jonathan Stanberry (Native Watercraft) for questions and details regarding their offerings. 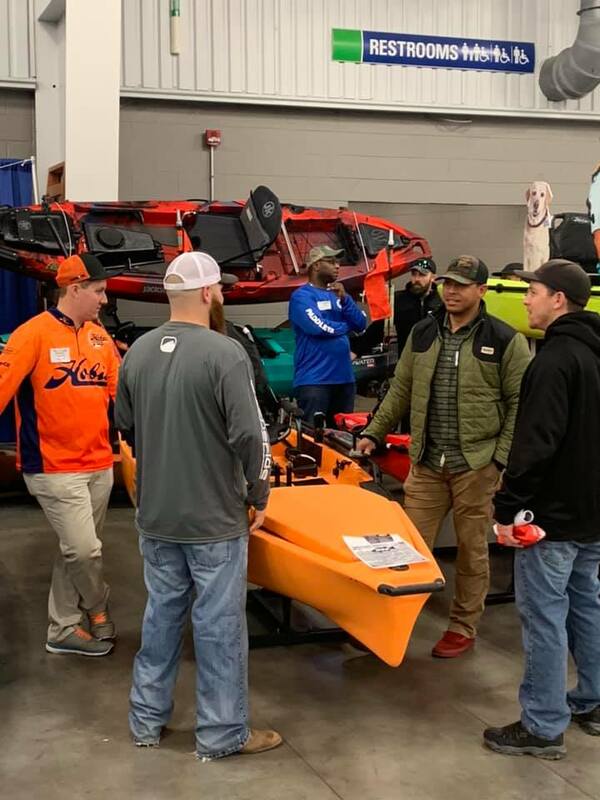 The gift of knowledge is what we as representatives of our respective brands can ultimately pass on to the next generation of kayak anglers and help the sport grow! Take a moment and think about how you can share whatever expertise you possess in the days that lay before you. Stay safe and take a friend fishing! !